Melrose Court, desirable complex, located by Surrey Central across the street from Holland Park Elem. school. This 1 bedroom and 1 bathroom is bright and faces the residential street. 9' ceilings, Plank Laminate flooring, Porcelain tile, Gr anite counters, covered patio and surrounded by green space. Building is rain screened and recent roof. 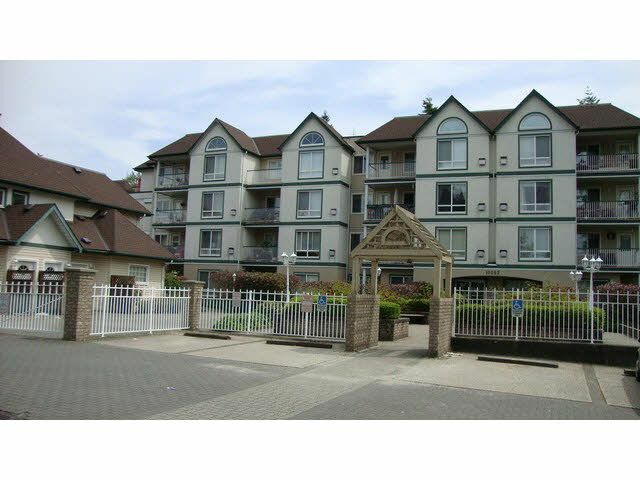 Walking distance to SFU University, Skytrain, bus sloop, shopping and rec-center.